The number of people who come to see the property – Sometimes renters will come in with a number of people. They may be telling you they are taking the property just for one, but in fact subletting rooms or having more people staying in. This will be a problem in terms of maintenance of your property. Renters with multiple jobs – If a potential renter include information or states in conversation that they have had many jobs in the past year, this could indicate that they find it difficult to hold a job. In this case, further investigation into the potential landlord credit check is advisable. 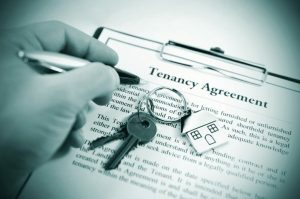 Renters with multiple addresses – If a renter states that they have had multiple addresses for the past 2 years, it could indicate that they have been breaking their leases or have been evicted more than once. Renters in a hurry to rent – Stay clear of renters who are in a big hurry and ask for you to shorten your application process. Such renters could be facing eviction from the last rental and therefore looking for a place to stay. Renters offering money – Such renters may offer you three months rent on the spot, to rent fast and bypass your rental process. These renters may have something to hide and therefore are hoping that you will miss important information. Forget all the headaches caused by tenants, get Tenant Screening Services, LLC to do a tenant credit check and get some peace of mind.